Vampyr, Dontnod's upcoming action RPG, has avoided the spotlight for most of 2018. After a delay announcement last year, there hasn't been much information about the vampire-themed game, save for its new release date of June 5. Today, however, Vampyr rears its head once more in the form of an all-new story trailer. It's dark, as expected, and set to a very "video game-y trailer" cover of Don't Fear the Reaper. Although Vampyr's a game about vampires and supernatural happenings, what really stands out in the trailer is its portrayal of London. Set in 1918, London seems to be as much of a character in Vampyr as protagonist Jonathan Reid. This is a city at a crossroads; World War 1 left millions of British soldiers dead, wounded, or permanently disfigured while advances to modern medicine allowed those who returned home from battle a second chance at life through early transplants and artificial limbs. 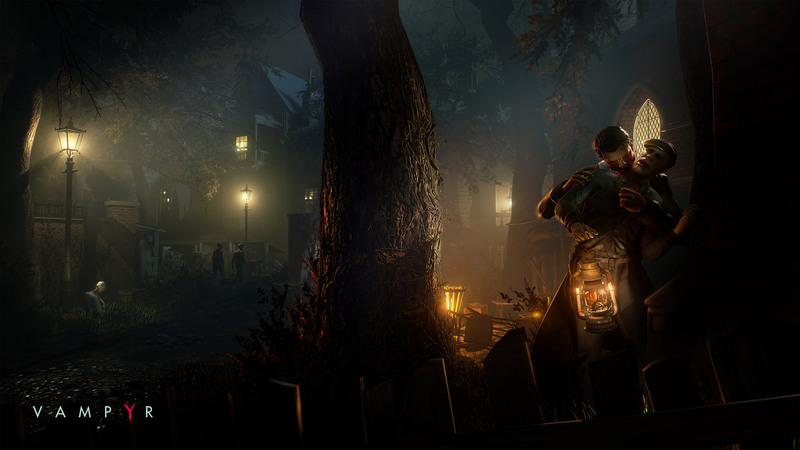 While the human cost of World War 1 isn't addressed in the trailer, the historical implications of setting a game about bloodsucking creatures and mysterious diseases affords Vampyr a chance to blend its fiction with a period of real-world events. I'm excited to see where Vampyr's story goes. The trailer paints a gritty picture, as Reid acclimates to his existence as a vampire in a world where everyone seems to want his kind dead. There are hints of conspiracies, disease, and powerful deities at play, all of which are sure to play an important part in the actual game. What happens as Reid's journey through London plays out remains yet unseen, but something tells me Vampyr is worth keeping an eye on.